“Vladimir Putin is president of Russia. An editing mistake misidentified Mr. Putin in an earlier version of this article. (Nov. 29),” the Journal wrote. Whoops. 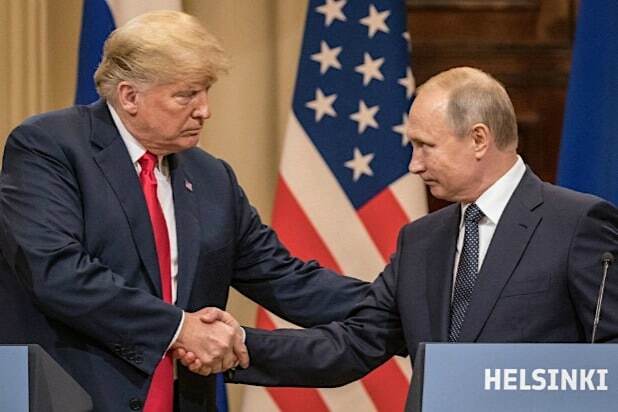 The correction was added to the bottom of an article covering the cancellation of a meeting between U.S. President Donald Trump and Putin that was to have taken place this weekend during the G20 summit in Argentina. The White House said Thursday that Trump had canceled the meeting because Russia has not released the two Ukrainian naval ships and their crews that it seized on Sunday. However, the situation between Russia and Ukraine has not changed since Sunday, and less than an hour before he canceled, Trump told reporters that it is “a very good time to have a meeting” with the Russian president. What did change in that time period is that Trump’s former attorney, Michael Cohen, pleaded guilty to making false statements to congressional investigators. Cohen said in a Manhattan court hearing that he submitted a false written statement about a proposed Trump real estate deal in Moscow.